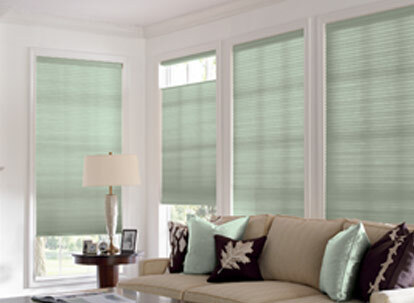 Accordia Levolor Room Darkening cellular shade fabrics offer a soft and classic look. 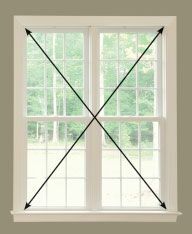 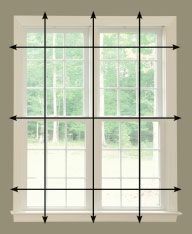 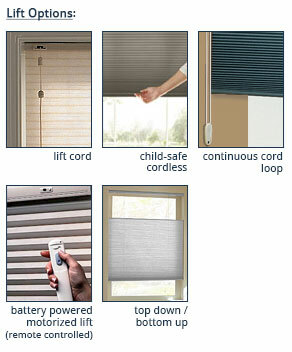 Offering maximum privacy perfect for bedrooms, media rooms and nurseries because of their ability to block up to 99% of incoming light. 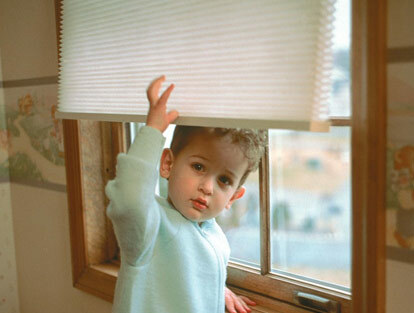  Cellular Shades are also called honeycomb shades because of their honeycomb shaped cells. 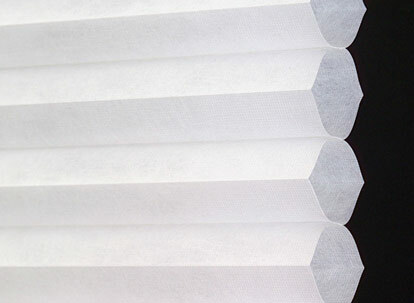 The Levolor Accordia shade is designed to trap air between the layers to provide insulation. 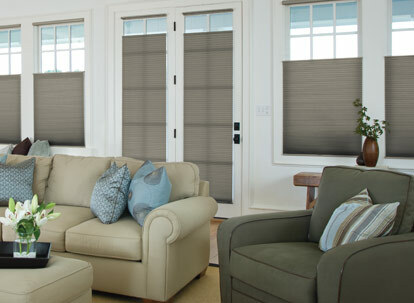 Using cellular shades can prevent over 60% of heat transfer though your windows and achieve the highest R-Value of any shade.